Bringing You the Very Best in Gutter Protection for Over 18 years! Carolina Gutter Helmet® and More has been proudly serving the Upstate and Midlands of South Carolina for over fourteen years from the same location to include: Greenville, Spartanburg, Cherokee, Laurens, Union, Newberry, Greenwood, Saluda, Lexington, Richland, Fairfield and Kershaw counties in South Carolina, and Polk and Rutherford counties in North Carolina. With its proprietary nose-forward design and other unique features, Gutter Helmet brings you a product of the highest quality, to keep your gutters clean and maintenance-free all year round. Less headaches for you, and less expense to boot! Now, doesn’t that sound like a dream? Act today, and help us make that dream your reality! You don’t have to take our word for it: We are honored that our loyal customers have taken the time to share their positive feedback to us. 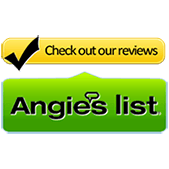 Please check out some of our happy customers’ reviews on Angie’s List. 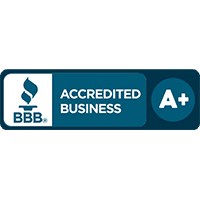 We are also a member of the Better Business Bureau. Our knowledgeable staff look forward to serving you with the highest quality gutter protection product there is. 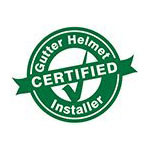 We protect you rain or shine with Gutter Helmet® shielding your gutters from dirt, debris, rodents, and pests, keeping your gutters free flowing. We also protect your home from sun damage with our exclusive SunShade Patio Awning line, available in over 100 colors and patterns. We are the exclusive dealer for not only Gutter Helmet® and SunShade Retractable Awnings, but EcoView Replacement Windows, and we proudly carry Sunsetter Awnings. We are able to serve our customer base better through our two offices: Greer and Chapin in South Carolina.